Mark Allen Lominac obituary. Carnes Funeral Home. I am so sorry for your loss, I just found out about Mark's passing. Although we lost contact after high school, I have always regarded Mark as a good friend and man of great character. You and your family are in my prayers during this tough time. Nov 14, 2016 You're in my thoughts and prayers Gladys. What I remember the most of Mark was his sweet and friendly ways. Mark had a smile of an Angel. Mark Allen Lominac was born in Pasadena, Texas on February 24, 1962. He passed away Monday, November 7, 2016 at the age of 54 years in Houston, Texas. He was preceded in death by his mother Wilma Lucille and brother Patrick. 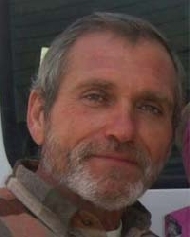 Mark is survived by his wife of 36 years Gladys Elmore Lominac; his oldest son Douglas and his wife Kimberly; his youngest son Chad and girlfriend Shelby; his two precious granddaughters Marilyn Rose and Marley Jo. His father Mitchell P. Lominac; sister Marie Miller and husband Dennis; sister Wanda Obannon and Gary; brother Glenn Lominac and wife Diane; numerous nephews and nieces. Mark loved being outdoors; fishing, hunting, sitting around the campfire with family and friends. Really he enjoyed anything outside and in the country. He was a very devoted and loyal husband to Gladys since they were 18 years young. He was a wonderful father always staying involved with Doug and Chad. He coached their little league baseball and youth football, and was involved in their FFA programs throughout high school. He was the greatest grandpa to his two favorite girls in the entire world! Marilyn Rose and Marley Jo truly had their grandpa wrapped around their finger. Every time Mark saw his girls, he was overwhelming filled with joy. He spent a ton of quality time with them and often took care of them during the day when Doug and Kim were working. He was incredibly sweet, patient and loving to his baby girls. They meant the world to Mark and the girls absolutely adore him. He was really looking forward to meeting his newest addition to his favorite girls, miss Charlotte Davis Lominac. Mark was truly loved by his family and we will forever hold him dearly in our hearts.